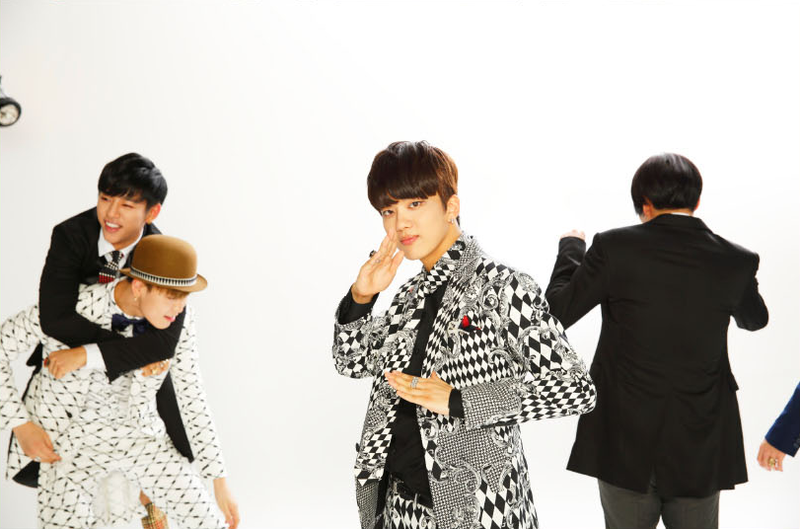 Hello, this time for B.A.P’s photoshoot and interview, at the beginning of August we went to a studio in Seoul. We arrived in Seoul first thing in the morning, and the sky was gloomy. After lunch in Kangnam, our caerman Yeoksam-dong pointed out the studio. 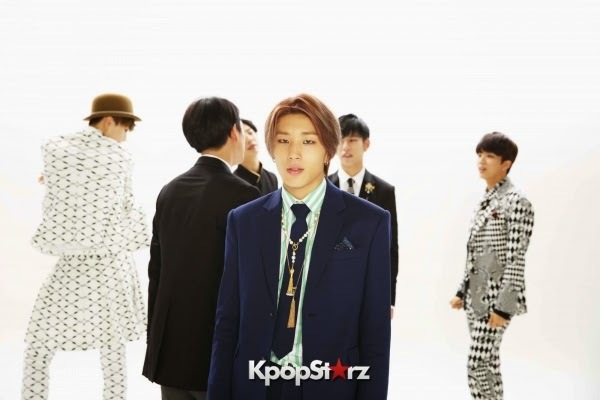 It was in a hard-to-find place, in the building’s basement, are B.A.P really shooting here?! 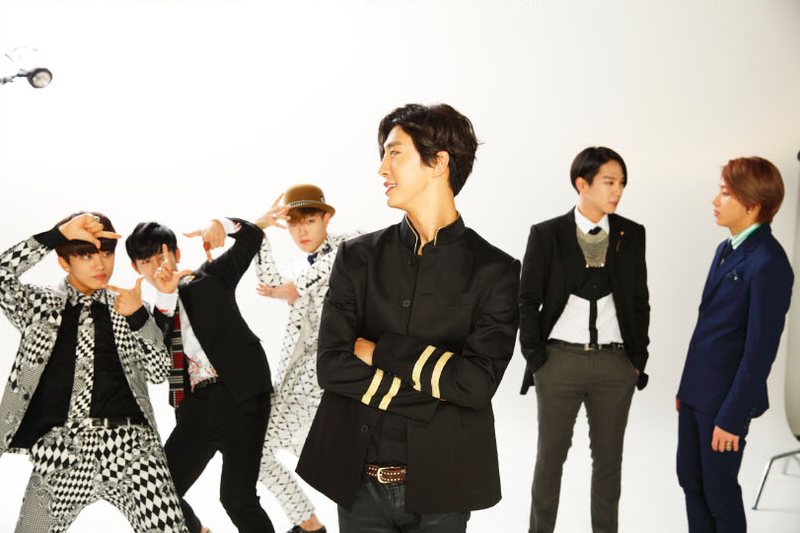 This was the interview for B.A.P’s 4th single “Excuse Me” to be released September 3rd after completing their 2014 Live on Earth Continent tour. When we entered the studio, it was Himchan who was shooting his solo cut. Himchan greeted with his eyes, which I returned. The shutter sound of the camera echoed in the quiet studio. At the interview location, unexpected things always happen, which makes for interesting happenings, but today there were no studio assistants! (laughs) Instead of studio assistants helping change rolls and do other tasks for the cameraman, this time it was the cameraman and I doing this, so as I helped with camera rolls and sets, I became sweaty (laughs). B.A.P sat on a sofa at the back of the studio for this interview. I thought of 3 patterns for this photoshoot; “White & Black,” ① White and light, soft B.A.P ② Global B.A.P in hard darkness, and ③ as Zelo requested, an encore of last time for the solo cuts! First we prepared for the 2nd concept. We turned the bright studio into night and began shooting. This time we did the interview first. There were questions collected from fans all over the world, there were questions not usually asked, so B.A.P seemed interested. During the fashion talk, Himchan’s famous words! Himchan got fired up while he said “I am a fashion icon. I am Fashion, fashion is me! (laughs)” When asking the unusual question about “voice change,” there was a grinning feeling of wanting to ask more. When we laughed over Jongup’s answer “I don’t really know when my voice changed. Because I don’t speak much” there was laughing, Youngjae was laughing, but then of course the Leader’s “My voice has be like this since birth” we couldn’t ignore it! The leader laughed. When I asked Zelo, who was smiling the whole interview, “You’re smiling so much,” he answered “Because you are responding openly to everyone’s answers. Thank you.” I felt shy (sweats). We soon started the photoshoot. The members gathered, we explained the photoshoot concept, “Today, we will be doing the photoshoot Zelo requested last time!” to which Zelo smiled. First was the dark street image shooting. 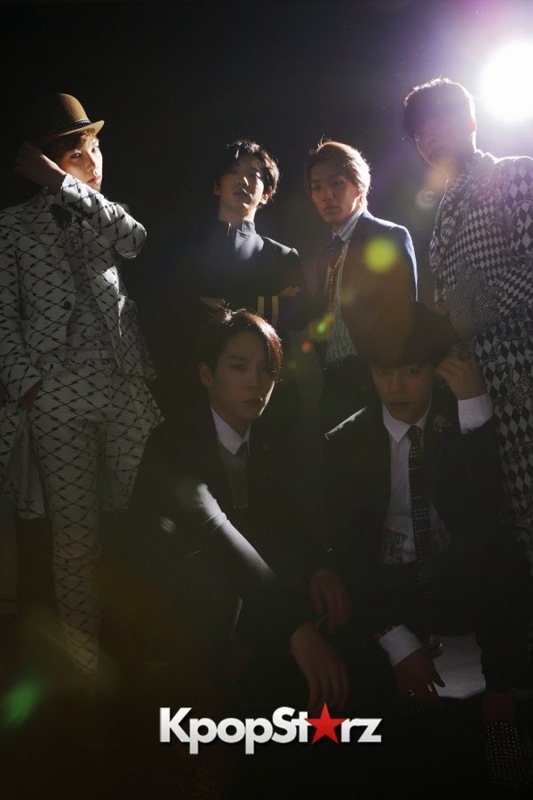 The feel was the members silhouetted by car headlights and lamps…I guess. We took many shots and the members checked them on the monitor, saying “Ooooh!” Yongguk said “It’s B.A.P’s image [T/N: as in the look suits B.A.P]” and smiled. After finishing this expressive and cool shoot, we moved to the next white area for the personal cuts. Here I will introduce the making cuts! Here, behind the main member who was shooting at the front, the members in the back made me laugh with their choreography! They did “1004” poses, 3 of them posed as if they were taking paparazzi photos, as if they were studio assistants, carried each other, Zelo pretending to slap Daehyun…there were many small performances all around (laughs). Himchan and Jongup were ALWAYS together. 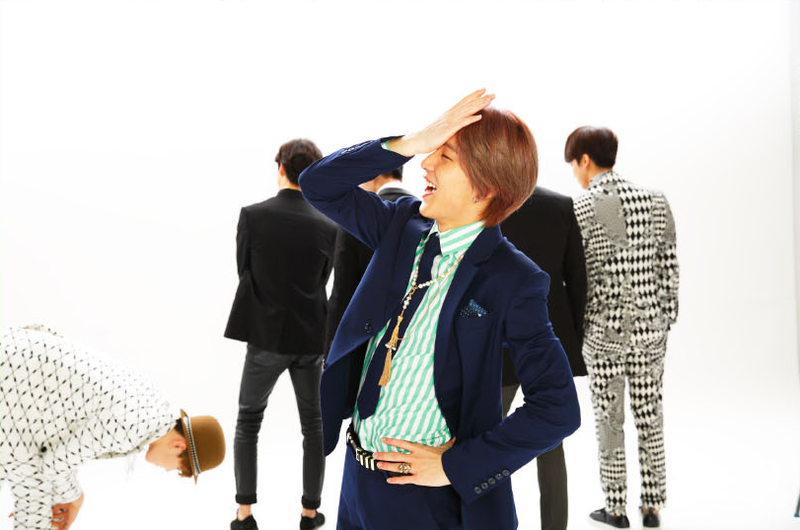 Gradually, the laughter became uncontrollable, At the end, Jongup fell down laughing. Himchan said “Sorry! 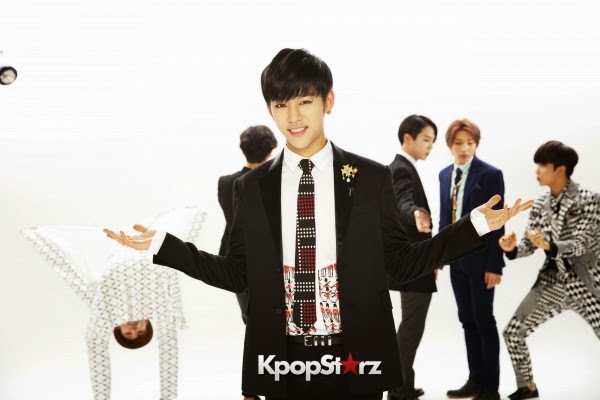 Jongup is out of control!” as he nearly had to wipe away tears of explosive laughter. During shooting, the cameraman asked me to have the members check their pictures while he adjusted the light. I wanted to show the members but fumbled the camera, then Youngjae came as if he wanted to ask “Show me please?” Youngjae fiddled with the camera until the images showed up on the two monitors, and he smiled. So reliable! There was co-operation from the members in these ways, and slaughter in the studio (staff was also laughing while watching! ), and the shooting ended without a hitch. Timeup. When it ended, the members said their “Good work!” greeting and were seen out. This is the end of the backstage report. 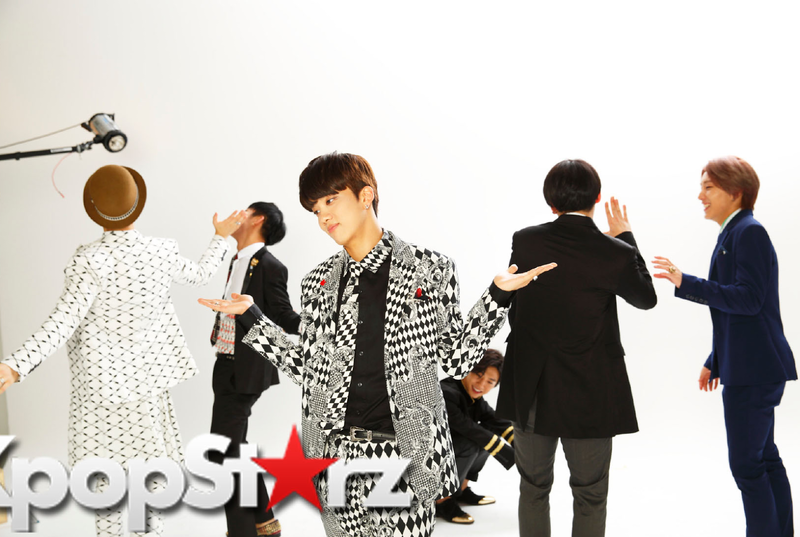 Thank you to B.A.P for always showing their “on” and “off” sides during interviews & photoshoots! 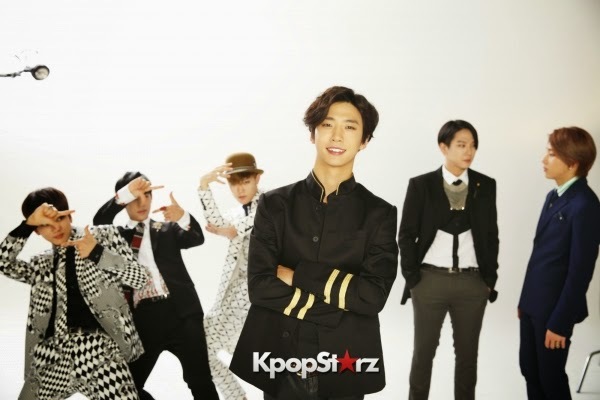 Photoshoot & Interview for B.A.P 4th Single “Excuse Me” Released Sept. 3! Last summer, “Excuse Me” was released in Korea on B.A.P’s 3rd mini-album “Badman” [T/N: there was a typo in the original article] and is an exciting song live. This time, we went to Seoul to get the info on B.A.P. This interview unfolds with questions about fashion, and members famous sayings continue. Q: Please tell us why you chose to release “Excuse Me” for your 4th single. “The title track of the “Badman” album is “Badman,” so I feel this is a surprising choice. YJ: We performed “Excuse Me” many times on stage in Japan, and we chose it since it is a song that was a favourite of all Japanese fans. Q: So the reaction of Japanese fans had a hand in choosing the song? Q: What sides are you showing with this release and it’s 3 songs? 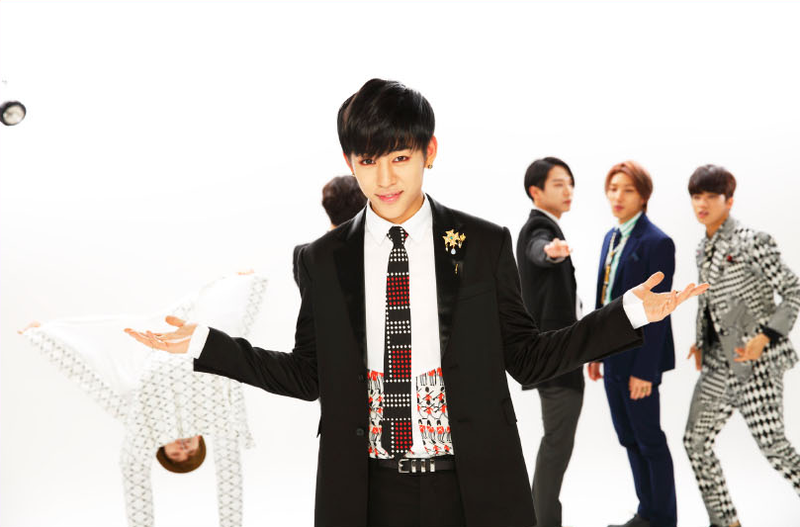 DH: “Excuse Me” is…it’s a very “B.A.P” song, it’s fun, and it’s a song brimming with confidence. “Coffee Shop” is also B.A.P showing a different face, and the song “Zero” is also a very “B.A.P” song, and it’s a song that feel full of hope. All 3 songs are very natural that you can relax to while you listen, I think. Q: With this recording, what was some Japanese that you heard for the first time? DH: I think this was the first time I used the word for “Melt.” It’s the first time, right…”(until/as) the darkness melts~♪” there is that lyric, but “Yami” for the word “kurai” [T/N: they care different words for darkness/dark] was another one, that and “melt” I used for the first time. 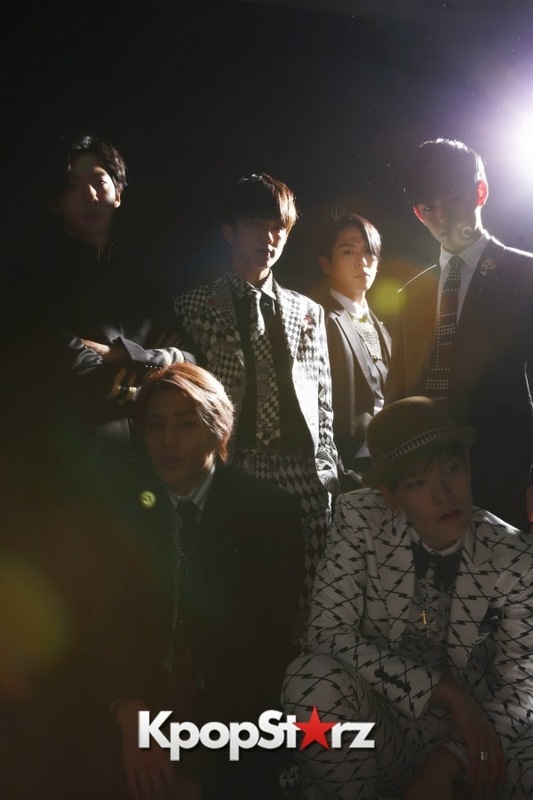 Q: Alright, so your last single “No Mercy” was at #2 on Oricon chats! Q: Is it safe to say your next goals are #1 on Oricon and moving from arena tours to dome tours? HC: Of course #1 and Tokyo Dome are good, we’ll be happy if many people listen to our singing. Q: Last time after our talk in Japan, it was before you went to London, Paris and your Japan tour. Going to places for the first time, what impressions did it leave you? JU: Last time, when we went to Europe fans did Soccer fan-style cheering for us, they cheered for us. With all the fans becoming one to cheer, that impression. JU: Yes, it was Paris. 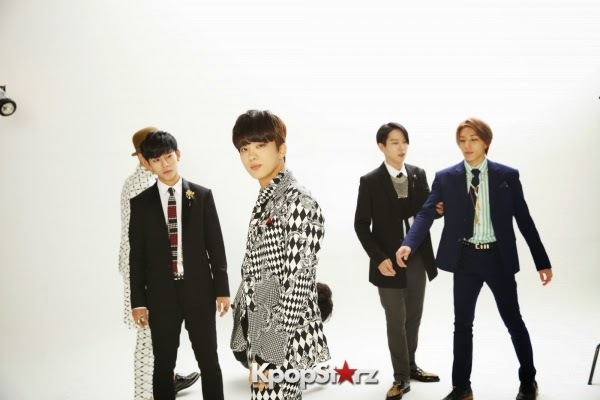 Q: It was very interesting seeing B.A.P members walk down the aisles of the venues for the Japan tour. Your experience please! YJ: It was very passionate. I felt very loved. HC: That event, it’s a secret! 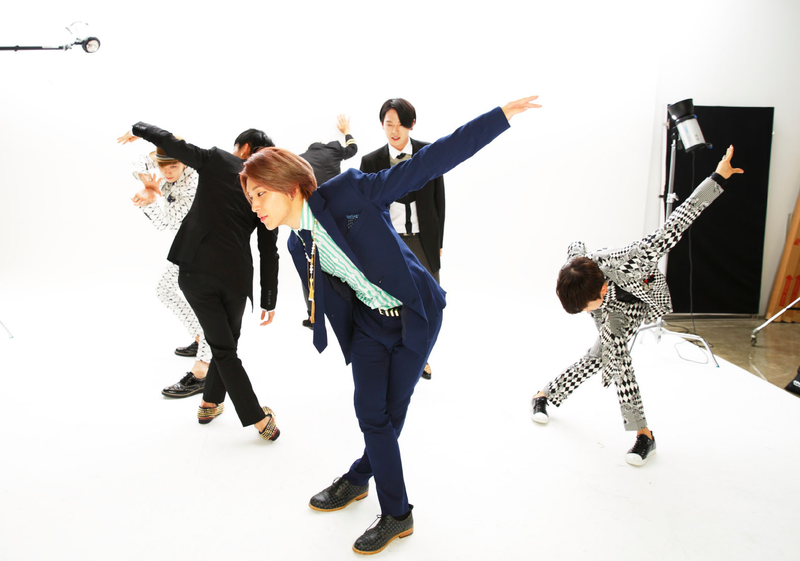 B.A.P: (said by various members in Japanese) SECRET! Q: With “Live on Earth” finished, how are you feeling now? DH: The biggest I’d say, if I were to say anything, is that I’m sorry (it’s over). We went to many countries, met many fans, I’m sorry (it’s over). I want to try doing more concerts. That is my biggest feeling. YJ: I feel motivated to go on another world tour and meet many fans soon. HC: I really want to meet soon! JU: I want to meet soon too. Q: Alright, everyone, do you like your own “voice?” What do you think your “voice” is like? YJ: Yes, I like it. Q: Youngjae, at what age did your voice change? YJ: When I was in high school, between Junior and senior high. Z: For me, when I was a high school freshman! Then the length of time in which my voice changed was quick (laughs). It was a change you got or didn’t. It was 3 years ago. 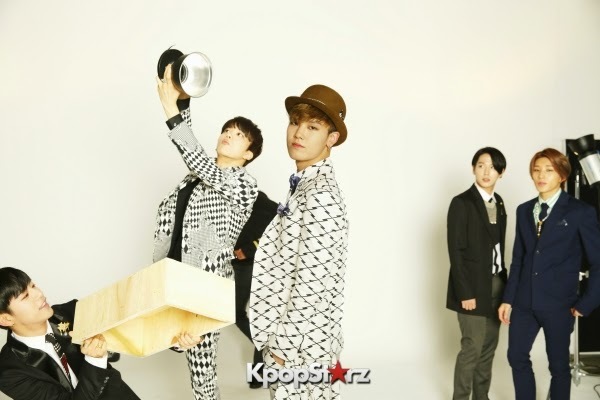 So around when we did “Bang & Zelo” my voice was changing I think. JU: I don't really know if my voice changed. Because I don't talk much (laughs). I didn't notice and it changed on it’s own it seems, I don’t know when it happened. YG: My voice has been like this since birth (laughs). I had a low voice since coming out of my mother’s belly. Q: B.A.P has a reputation for having good sense for their casual clothes, but please teach us the style points of summer airport fashion. HC: Whatever clothes I wear, I have a handsome face, so if there are T-shirts or pants I want to wear I choose them. 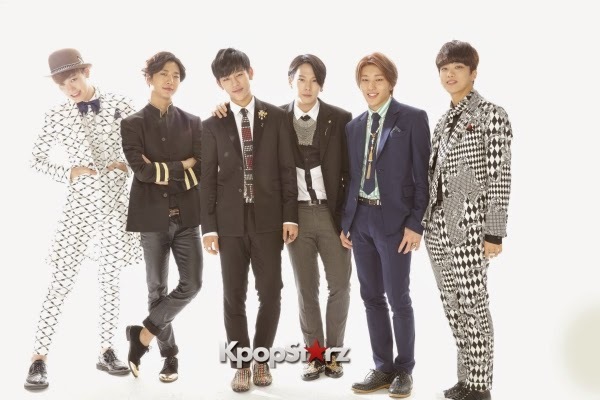 Q: So what does Fashion Icon Himchan think of the other members’ styles? Z: Thank you. But there are no plans for a Bang & Zelo comeback right now. At the time we did Bang & Zelo I was a student, and in order to reach a lot of people, we did a “student” theme, to appeal to students the same age. Not presently, but when I’m a bit older, if there is a chance to comeback as Bang & Zelo, I’d like to do a song to appeal to people the same age as me then. YJ: Daehyun & Youngjae? 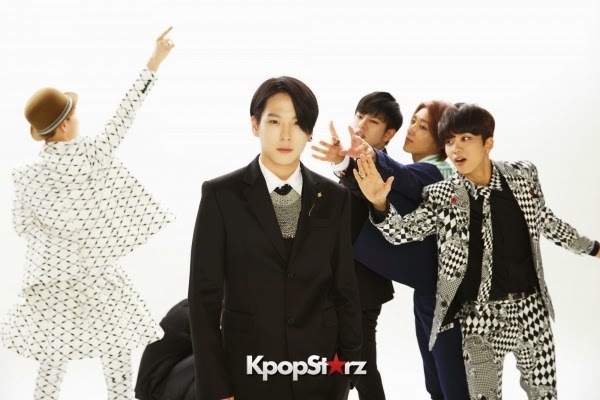 (laughs) Since promotions with B.A.P are as full as can be, there are no plans for that. HC: Our manly image is prominent in our music and performances, I think many of our fans are drawn to that powerful performance, right? 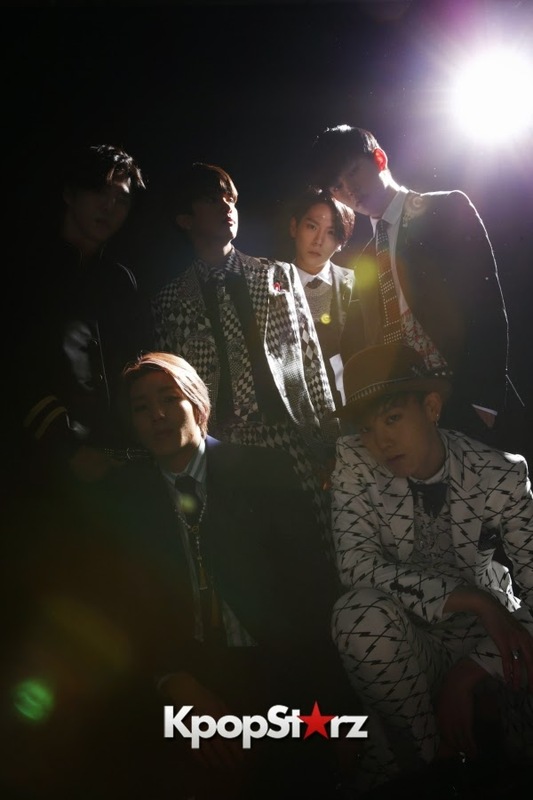 HC: We’ve all grown and matured, but of course Zelo has really grown! I’ve seen him since he was a kid, his height has increased and he has matured. YG: I am always very grateful. It’s not only our fans, but if people who are wounded get strength from B.A.P’s songs I think it’s good, and if that happens I’m happy. HC: A movie that B.A.P are the main characters. A feel like the 6 of us are enjoying our blooming youth. Something like that. Like a movie where we grow, right? Q: This time when we collected questions, there were a lot from Poland, is there any reason for that? YJ: Ah, but when we were in America, a fan we ran into in the hotel shop said “Polish fans asked me to give you this” and handed us many letters. Though we haven’t been to Poland yet, it seems we are loved by many people there. 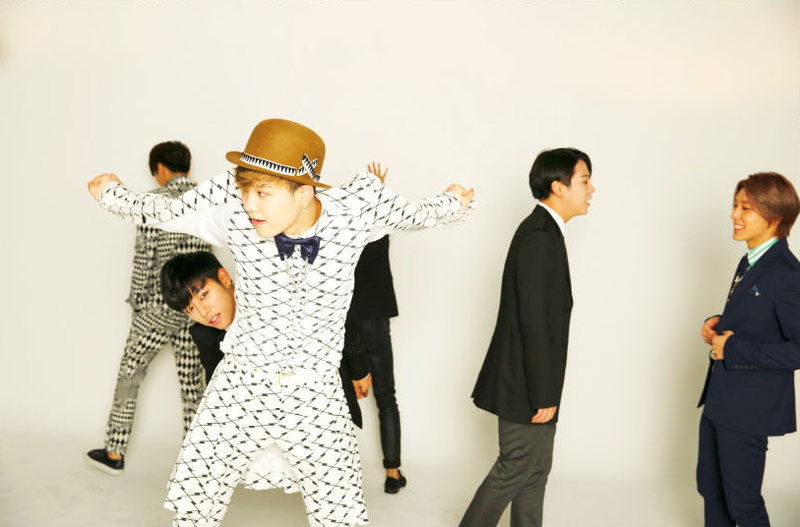 DH: When we go on stage, there are LED lights, that’s were we appear from, but at that time I am always praying. There’s no “god” or religion I believe in, but I pray asking that “Today’s stage goes well, and that if there are difficulties we can get through them well.” With that we go on stage, and then I feel satisfied when the show ends. YJ: For me, when I can’t do something, I leave it alone and search for something I can do and try to do it. Doing that gives me courage and a change of pace. JU: When I can’t get something done, like when I feel smothered, I exercise or move my body. Doing that changes my mood. 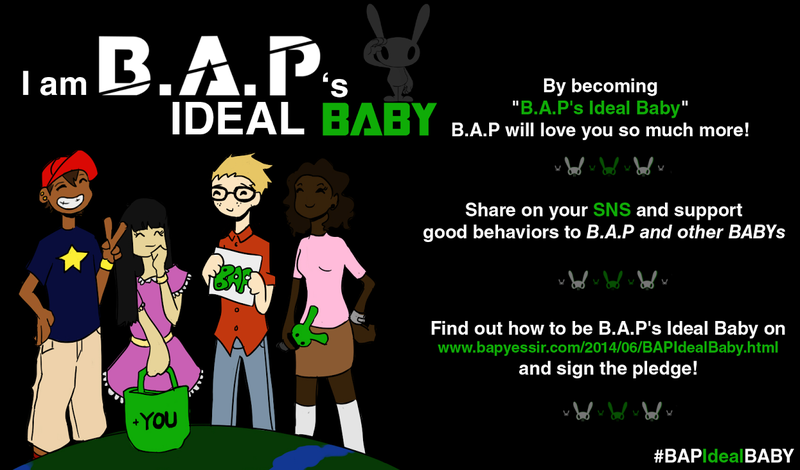 Q: Alright, lastly a message for your B.A.P fans around the world. HC: We’ll go anytime in order to meet all the fans who are always waiting for B.A.P concerts, and for us, and from now on we will always make better concerts. Let’s make good memories. We love you!